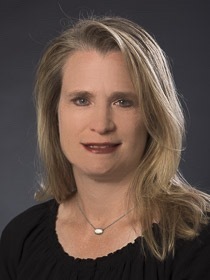 Dr. Yates received her PhD degree in Neurobiology from the University of Arkansas for Medical Sciences (UAMS) and received her MS degree in physical therapy from UCA. Her research interests include spinal cord injury and spasticity management. She is also a part of an interdisciplinary team at UAMS that is studying methods to reduce pain and stress in neonates. Dr. Yates is involved with research at the Center for Translational Neuroscience at UAMS (www.uams.edu/ctn). As an associate professor in the department, she is active in pediatric neurology, kinesiology, and wound care. She is a board certified clinical specialist in Pediatric Physical Therapy from the American Board of Physical Therapy Specialties. Her clinical interests include pediatrics, adolescent orthopedics, and acute care. She is active clinically at Arkansas Children’s hospital.